It is safe to say that the energy generated by solar power exceeds humanity's energy needs many times over. Solar energy currently provides an important contribution to energy, that will increase rapidly in years to come. One of the most appealing factors of solar power is that no project is too big or too small - Soventix can provide solar energy to industrial properties. 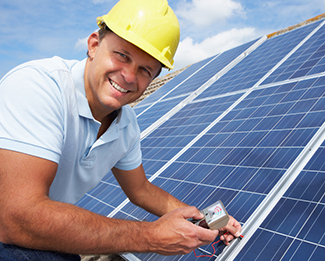 Our expertise in the solar industry will translate into the efficiency that will exceed your expectations. We understand the potential that the sun has to supply energy efficiently and effectively.We will provide the best possible support to you with any kind of photovoltaic project you envision. Soventix is able to plan and implement the project or to simply offer support in key areas (for example, in technical designs or FIT applications). Where you may see an empty rooftop or an unused field, and feel the transition from concept to project will be a difficult one, our experienced team of project developers will transform a vision into a completed project with constant guidance. If you are unsure of whether the area will be sustainable for a photovoltaic system, Soventix will come and assess the area for you. We will test sustainability, economic value as well as ecological value. Following a yield report and clarification of ownership - depending on compliance - we will begin the planning for you. Soventix works with financial institutions that specialise in renewable energy in order to facilitate external finance. We will define a financial plan and evaluate your capital needs based on your financial situation. 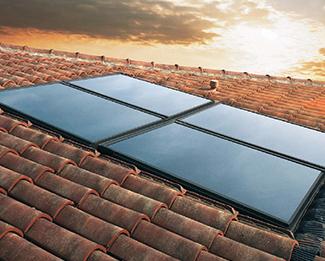 In addition to this we will inform you about tax breaks and the advantages of having a solar system installed. Furthermore, we will identify possible government grants and support you with the application process. When it comes to the development of photovoltaic systems and implementation of solar power, Soventix will not compromise on quality. We will handle the complete process - from design (engineering) and procurement of components to the construction of the solar system. All of this is handled by our experienced and highly professional staff. Our engineers take the specific requirements of both location and customer into account when planning the details of your solar system. We provide accurate cost estimates, and, thanks to our yield forecasts, the customer receives a detailed overview of the financial aspects of their photovoltaic system. Each package is tailor-made for every project and customer. We are proud to say that our ambition is to offer our customers a perfect product that has the right price/performance ratio. By taking on technical operational management, Soventix guarantees maximum system availability. We look after the systems according to the operational and maintenance requirements presented by the components used. 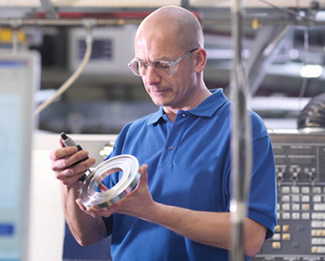 Our service technicians carry out regular inspections on all systems. A permanent monitoring system using remote analysis ensures that the systems are functioning properly. If any irregularities should arise, our service technicians will analyse and fix the fault. Our focus is on a rapid response time in order to minimize yield losses as a result of disruptions to operation. Soventix's services in the area of operational management are not just limited to protecting the expected yields. We analyse the system's operating data in detail and identify possible potential for optimisation. Our customers receive detailed reports and an analysis of the yield and availability of their systems.In addition, we offer a complete package for the maintenance of the systems, which includes cleaning and area maintenance. We also offer our services in operational management for projects that are already underway. We use operational data in order to identify which service modules of operational management are relevant for the specific project. Our services in operational management are designed to be modular. That means: the customer only pays for services that are needed. Please contact about your specific project requirements.